My name is Corinna Harrod and I am a professional make-up artist, beauty junkie and writer living in West London. 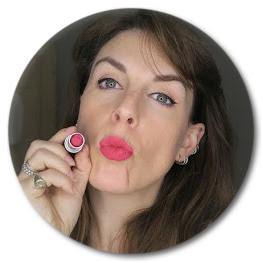 This blog started as Little Miss B in 2006, before I became a professional, and was, I think, one of the first beauty blogs in the UK. 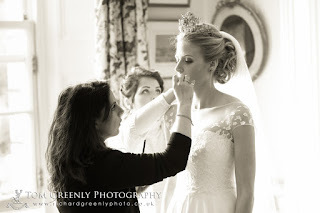 My friends used to ask me what I recommended for their skin, hair or do their wedding make-up so I set up a blog as an online reference for them and it's grown from there. In 2013 I changed the name to London Make-up Blog and started my YouTube channel. I trained in make-up artistry at The London College of Fashion and with the lovely girls at Pixiwoo and now work as a make-up artist doing lessons, consultations, bridal and film work. I have two little boys and their arrival has made me test products in a whole new way - will they work on a film set, a bride and are they mum-friendly? I am now the self-crowned Queen of Speedy make-up. I also write a lifestyle and food blog called Blue Sky and Bunting which you might enjoy.